It seems like a “here we go again” type of season for Notre Dame in 2011-12, but with a few big events thrown in at the same time. The Fighting Irish look primed for a repeat of last year’s 2nd place CCHA regular season finish and NCAA Frozen Four trip with 5 Seniors coming back and 9 of their top 12 scorers also back. Let’s take a deeper look at the Irish. In addition to this schedule, possibly one of the marquee events of the entire NCAA Hockey Season will be the opening of the Compton Family Ice Center. 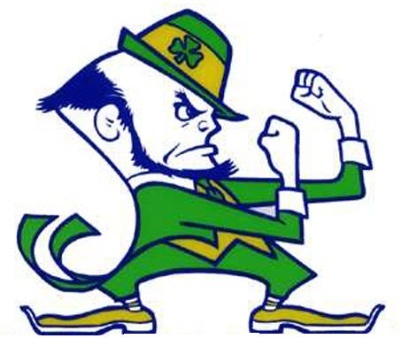 Saturday’s game against Ohio State will be the last hockey contest the Irish will play in the Joyce Center since moving in back in 1969. The Students are on Fall Break at Notre Dame this weekend, so tickets are available if you’re really itching to sit in an old, crusty cavern of a hockey “arena” and experience the last game that will be played there. Taking a look at the on-ice product, the Irish return 9 of the top 12 scorers from last year (although those 3 departures are in the top 6 overall). Head Coach Jeff Jackson is in his 7th year in South Bend, and holds a 141-79-27 record for the Irish (324-132-52 overal with 2 National Championships for Lake Superior State), and Jackson will rely on 20-game winner Mike Johnson in net. Although Johnson came through with 20 wins last year, Johnson posted less than stellar 2.62 goals against average and a .904 save percentage on the season – numbers he will have to improve on this year if the Irish want to make it back to the Frozen Four. Returning on the ice for the Irish are 2010-11 CCHA Rookie of the Year T.J. Tynan – a preseason All-CCHA unanimous pick along with Miami’s Reilly Smith. Tynan is joined by fellow 2010-11 1st team all CCHA selection Anders Lee (Alternate Captain) in ND’s stellar Sophomore Class. Seniors Sean Lorenz (Captain – D) and Billy Mayday (Alternate Captain – F) also return to lead this team into what would be the second consecutive and 3rd overall Frozen Four for the Irish under Jeff Jackson. Anything less than 3rd place is a hugely disappointing season for the Irish. Look for the Irish to show up in Tampa for the Frozen Four if their goaltending keeps improving as well. The 2 national (official) polls have released their first rankings of the 2011-2012 season. If the polls on September 26th meant anything, Miami RedHawks players, coaches and fans should be VERY happy. The first unofficial poll was released by College Hockey News last week with Miami at #1, and today’s In the first USCHO.com Division I Men’s Poll for the 2011-2012 season, Miami checks in at #2, despite having more first place votes (12) than the Irish (11). 4 CCHA teams made the Top 20, and 6 more are in the “Others Receiving Votes” category to start the season. Interestingly, 7 of the 8 NCHC teams are in the top 20 including #’s 2, 3 and 4, and the 8th team (St. Cloud State) checks in at #24. Have a look at the full poll HERE and the USCHO writeup HERE. In the first USA Hockey Magazine / USA Today D-I Men’s Poll, Miami and Notre Dame flip spots, with Miami taking 15 of the 31 first place votes. In this 15-team poll, the CCHA has the same 4 teams ranked, with only 3 more “receiving votes.” Again, all 8 NCHC teams made the list, with St. Cloud State getting just 1 point. Full Poll can be found HERE. Here’s Miami’s official release on the rankings.